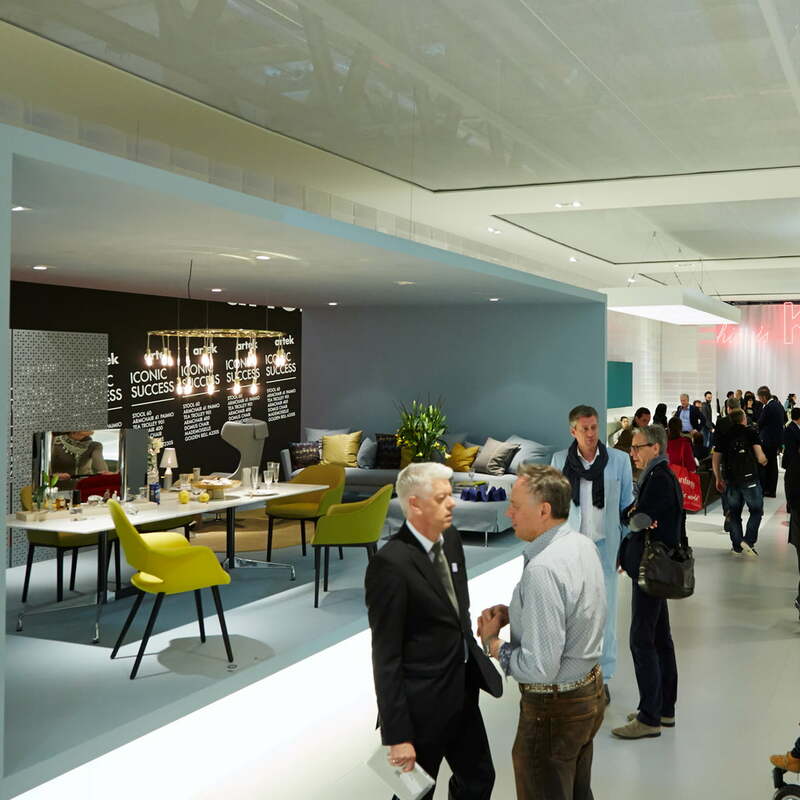 The Organic Conference is a classic piece of furniture, which isn’t really a classic: The chair by the design legends Charles Eames and Eero Saarinen couldn’t be produced in series because of a lack of technique in the 1940s. 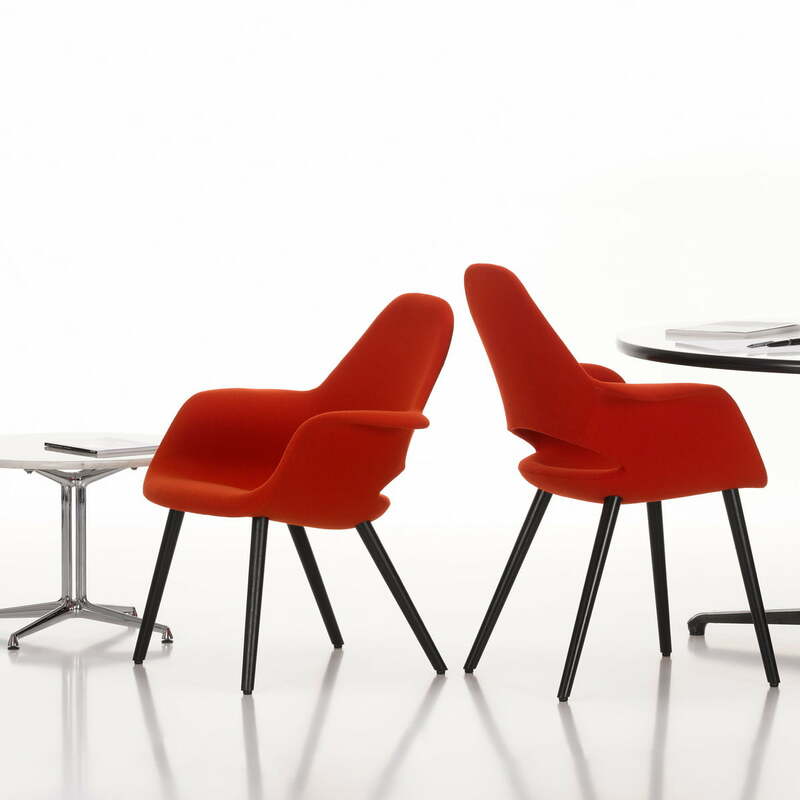 It was vitalized by Vitra in 2006 for the first time. 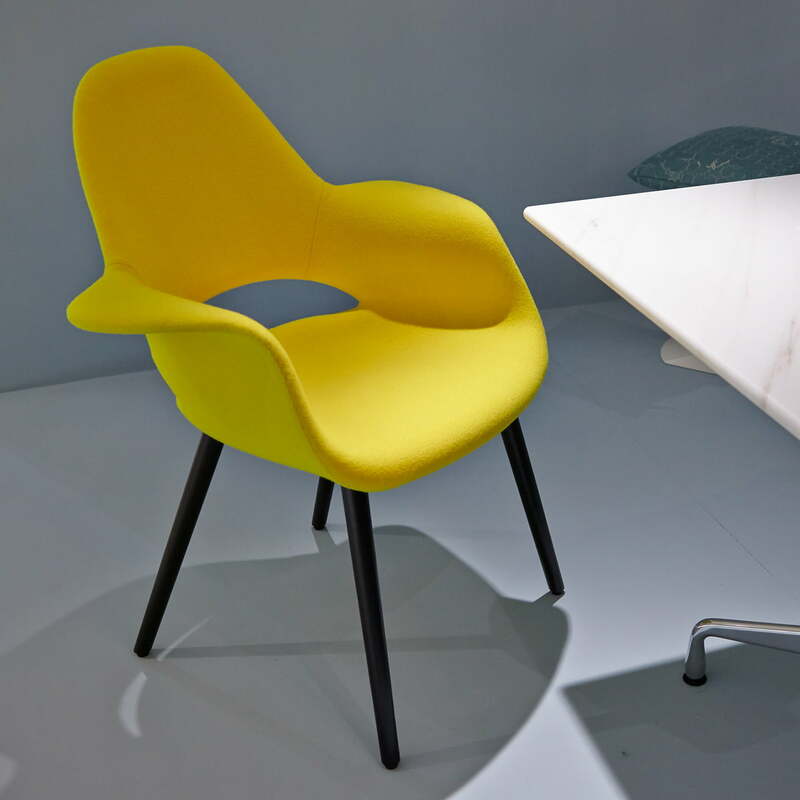 Charles Eames and Eero Saarinen created a complete series of Oranic Chairs in different editions for the competition “Organic Design in Home Furnishing” of the Museum of Modern Art (MoMA) in 1941. The designs were futuristic formally, but they weren’t produced because of a lack of technique then. The organic seat could only be produced and distributed in bigger amounts later, so were the Eames Plastic Chair by Charles & Ray Eames or the Tulip Chair by Eero Saarinen. 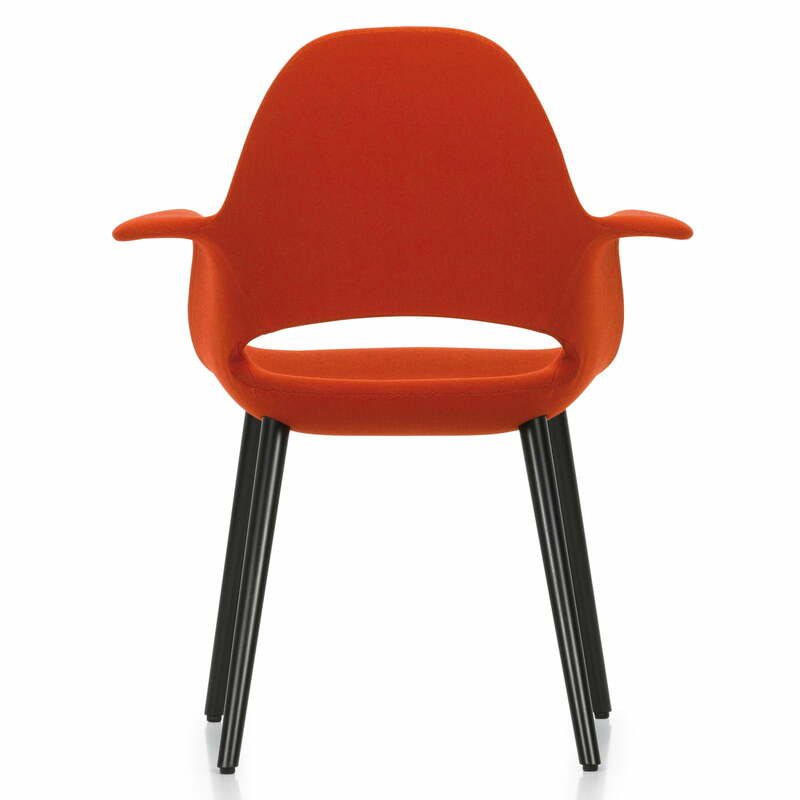 Vitra and the Vitra Design Museum vitalized the classic piece in 2006 with the first serial production of the Organic Chair, the Organic Highback with high backrest and headrest followed in 2008. 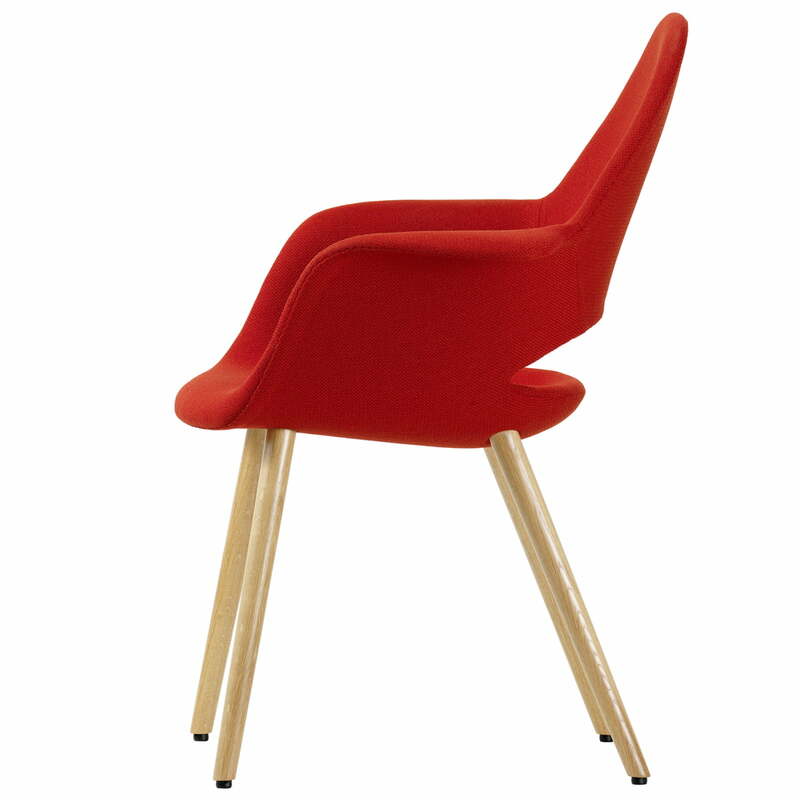 The shape of the seats of the Organic Chairs is adapted to the seat demands of the human body. 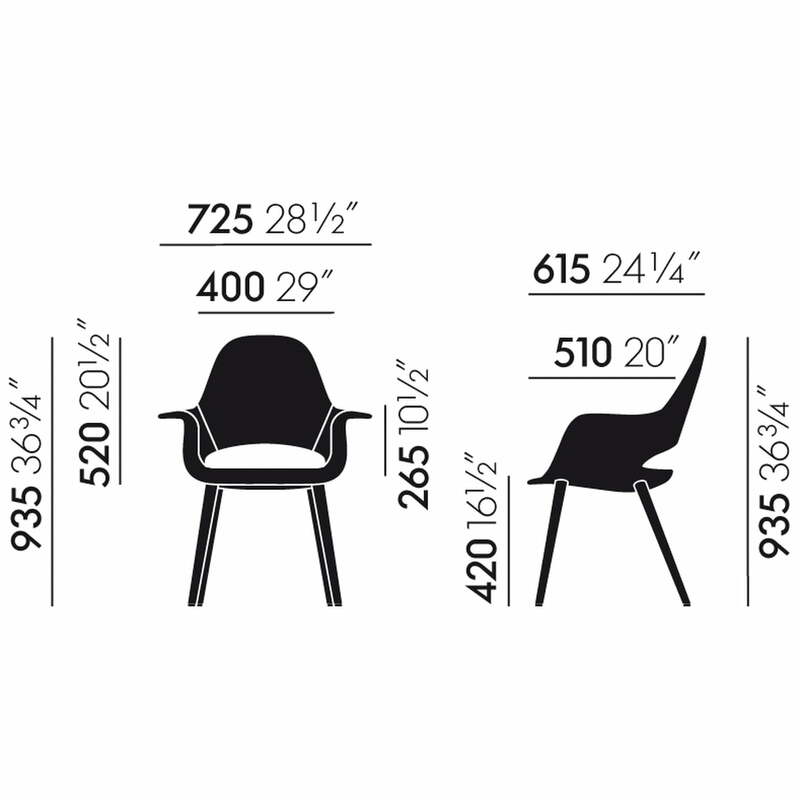 The user sits in a lower, slightly backwards inclined position in the reading chairs Organic Chair and Organic Highback, while the Organic Conference is slightly higher and more upright, supporting sitting at a table. 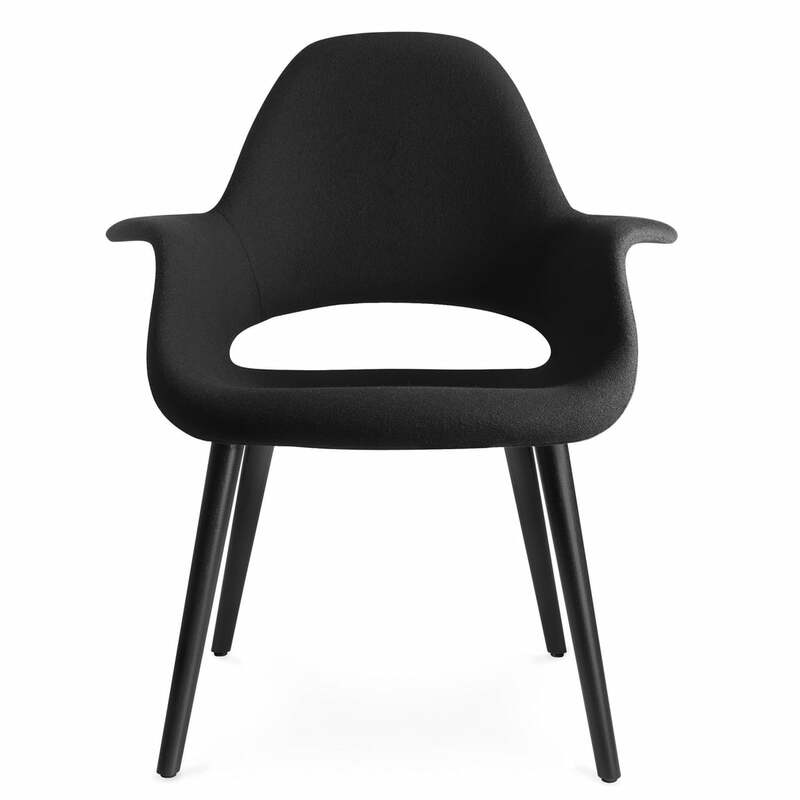 The organic shape of and the comfortable cushions ensure exceptional sitting comfort. 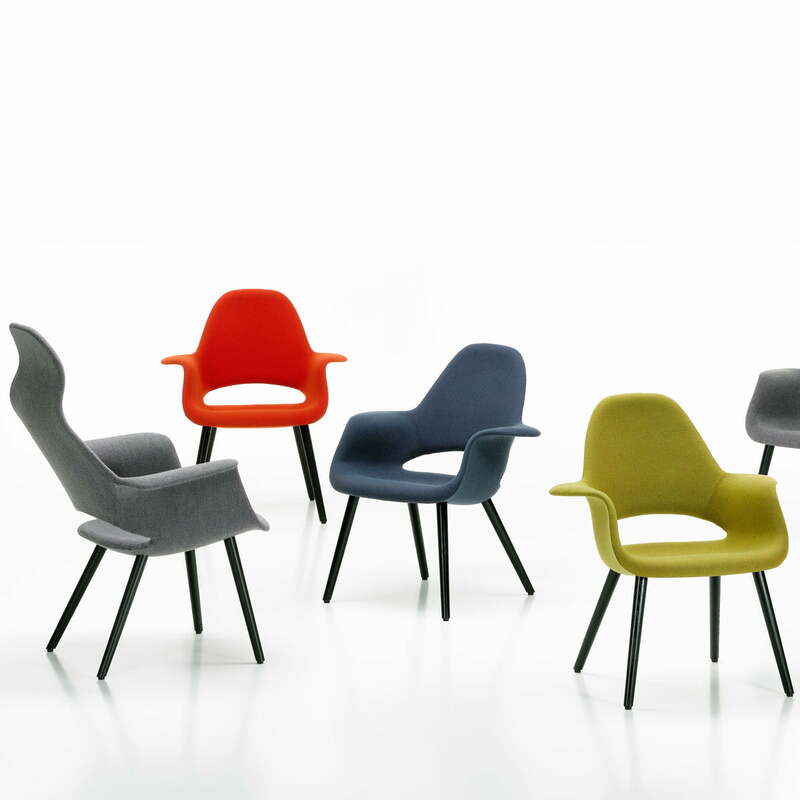 Vitra produces the Organic Chairs out of ash wood with polyurethane foam cushions. The sophisticated coating with the Hopsack fabric by Kvadrat ensurea robustness and longevity to the Organic Conference Chair – also in a stressing office routine.